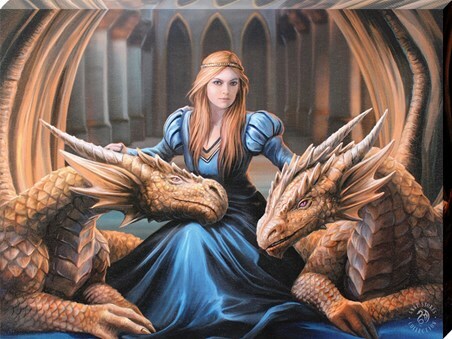 This captivating canvas print from the hugely talented fantasy artist Anne Stokes, is truly beautiful in every sense. 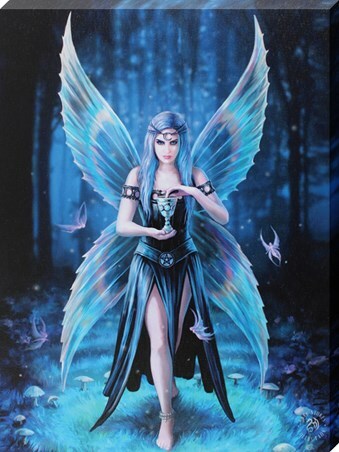 The mysterious fairy is locked in gaze, as she floats through the moonlit enchanted forest. Surrounded by dainty pixies she dips her finger in to the silver goblet containing an unknown elixir. But is her beauty a trap? 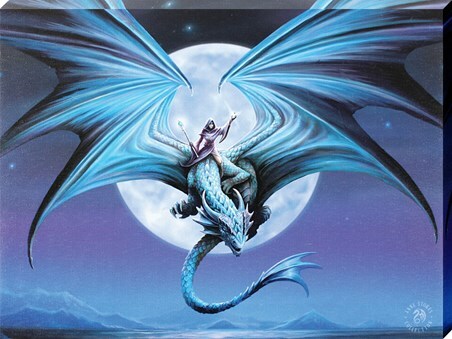 Follow her through the dusky azure blue landscape before she flutters away with her majestic wings. 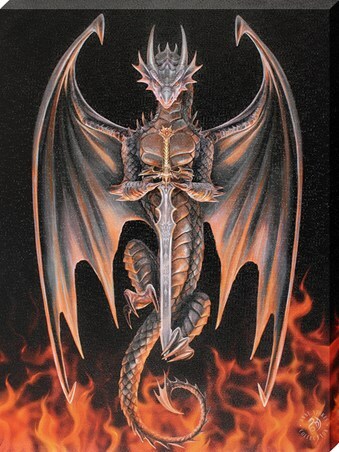 If you are a fan of Anne Stokes marvellous pieces, this canvas print would make the perfect addition to your collection. 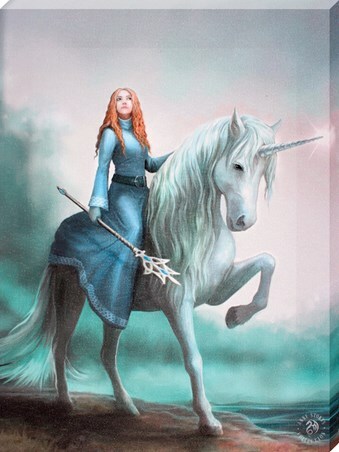 High quality, framed Enchantment, Anne Stokes canvas print with a bespoke frame by our custom framing service.